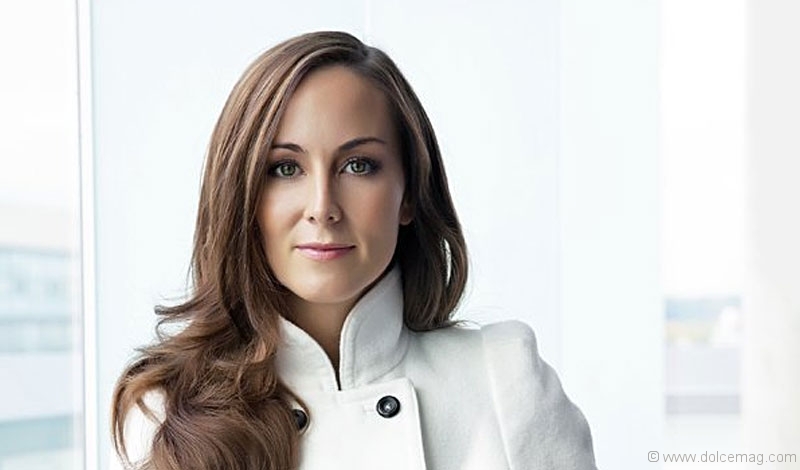 Amanda Lindhout is standing in front of a predominantly female crowd sharing her harrowing story of survival. The former journalist describes the unsettling 15 and a half months that followed her kidnapping in Somalia. The terror of facing trained AK-47s on that fateful August day in 2008; the long and unnerving 460 days in captivity; the unyielding hunger; the perpetual darkness. We’re privy to details she sparingly reveals. But this isn’t a bid at sensationalism or a cry for pity. 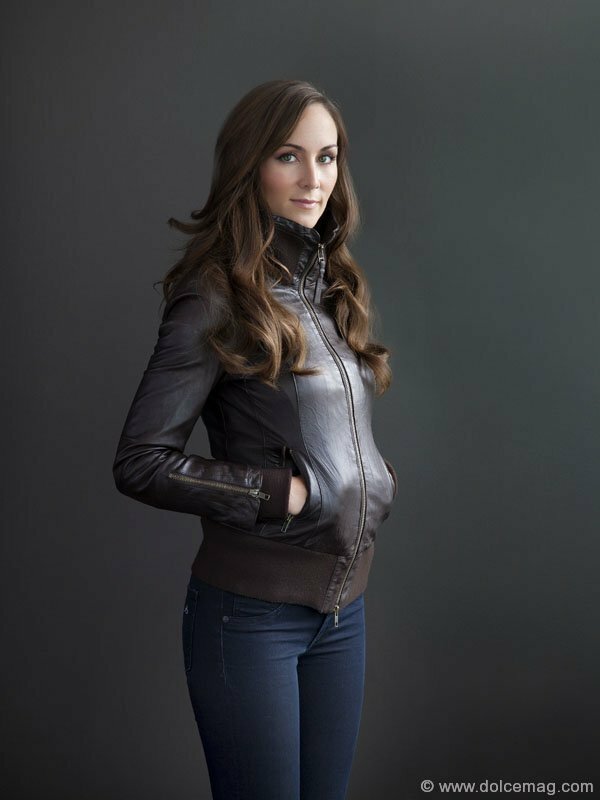 Lindhout shares her ordeal to illustrate the power found in forgiveness and, as she explains, to draw attention to the country where she lost her freedom, but found her life’s work. It’s early October and roughly 140 attendees have gathered for the Women’s Executive Network’s fifth event in its Evening Cocktail Series. The event, held at the ROM’s c5 Restaurant Lounge, has been sold out for weeks. Lindhout is the keynote speaker. “Leaders Who Are Changing the World” flickers above as hands clasp wine-filled glasses and eyes lock on the Kate Middleton–esque brunette standing front and centre. “We are the lucky ones,” she says, opening her address. The point is exemplified by noting that women represent 70 per cent of the world’s poor, and how fortunate we are as Canadians to live shielded from slavery and mass violence, free to learn and play. An orange glow lingers as dusk sets in, pulling an ink-blue blanket over the skyline that hangs like a mural behind her. The posh setting and sweeping view provide an obvious antithesis to the subject at hand. Does anyone notice? Does anyone really care? The crowd sits frozen, gripped with a calm but intense silence. It seems Lindhout’s words do more than the view ever could. We hear of Lindhout’s failed escape attempt, and of the Somali woman who embraced her, calling her “sister,” as militants tore them apart. How the sizable ransom left her family financially ruined, and how donations from Canadians helped them pay it. How disillusioned and depressed she was upon her return — but how, through love, support and a remembered promise, she was able to step back into the light. And we hear of a Somali heroine who, after enduring the darkest depths of human depravity, explained to Lindhout that she feels responsible to still stand tall for the women of her country despite the horrors she has suffered. Today, that focus is the Global Enrichment Foundation (GEF), a non-profit she founded in May 2010, only months after her release. GEF uses communal, educational and relief programs to foster development and peace in Somalia. Through its Convoy for Hope program, GEF was one of the first organizations to dispense food during the East African famine in 2011, aiding 192,000 people — an accomplishment Lindhout is exceptionally proud of. Such relief is often needed in poor, impoverished countries like Somalia, but Lindhout isn’t satisfied with just giving handouts. She seeks to empower. At one point or another, every one of her kidnappers also expressed the desire to attend school. One in particular confided in her — in broken English he learned from listening to BBC radio — that he disliked being a solider. He wanted to be a student. It became apparent that her captors — most orphans, some as young as 14 — were but products of their environment. They’re not innocent, she makes clear, but in a country like Somalia where war ravages, exposing children to its horrors, it’s not hard to see why violent paths are often chosen. This understanding gave Lindhout the strength to forgive. She paraphrases a quote by one of her heroes, Nelson Mandela: “Human goodness is a flame that can be dimmed but never extinguished.” Those words, from the former South African president and Nobel Peace Prize winner’s memoir, Long Walk to Freedom, were a reminder that while buried under layers and layers of pain, that flame of goodness was still alive inside her kidnappers. Her freedom was torn away, but she chose to control the one thing she could: her response. She chose forgiveness. Scholarships and aid obviously benefit many, but GEF also works to implement institutions for ongoing development. One institution is the Waqaf-Dhiblawe School. First opened by Nobel Peace Prize nominee Dr. Hawa Abdi — who, Lindhout explains, is “a real hero in Somalia” — the school provides education to 850 children living in an internally displaced persons camp outside of Mogadishu, Somalia’s capital. On the day she was kidnapped, Lindhout was en route to the camp to report on Abdi’s work. She never made it. This past spring, however, while Lindhout was in Nairobi, Kenya, Abdi reached out. “We just spent the whole afternoon together and were just sharing stories about our work,” Lindhout recalls. The topic of Abdi’s school came up and she confided that it had lost its funding. Its future was unclear. “She never asked me for anything, she was just sharing,” Lindhout explains. “And I said to her, ‘I’m going to do what I can. I don’t know what I’m going to do, but I’m going to do what I can do to help, I promise that.’” They compiled a list outlining the school’s needs, such as a women’s literacy centre, recreation facility, and library, and Lindhout set out to find a donor. 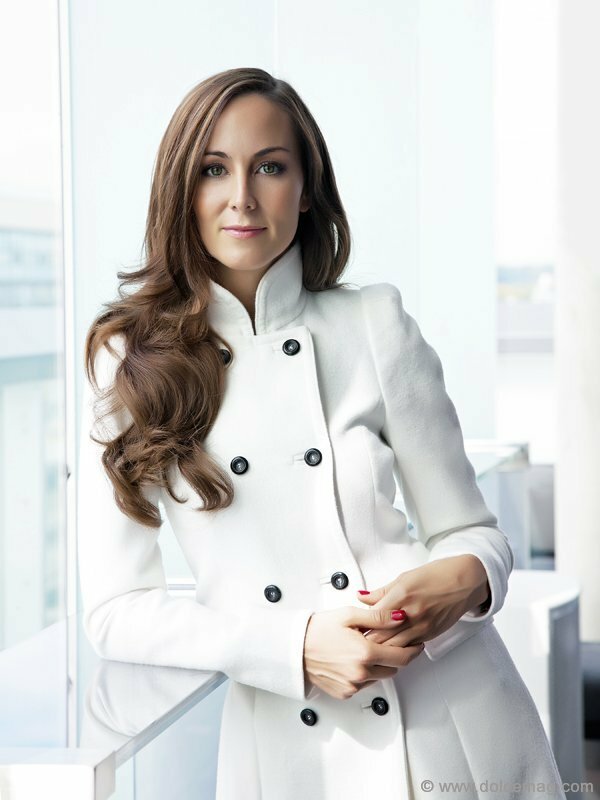 Lindhout approached Chobani Yogurt, which had supported GEF during the Convoy for Hope campaign, in search of funding. “Amanda’s passion, strength and perseverance are unstoppable and amazingly inspiring,” says Hamdi Ulukaya, founder, CEO and president of Chobani Yogurt. Chobani agreed to donate the money for the school. Lindhout was elated. But in a country as volatile as Somalia, violence can rear its ugly head at any moment. Fighting broke out in the area and the whole camp was evacuated. The extremist group instigating the violence was eventually pushed back and the camp’s populace returned. The school, unfortunately, was damaged during the conflict. But while violence is common, Lindhout is continuously inspired by the resiliency of the Somali people. “They go through so much,” she says, “and then they just get back on their feet again and they keep going and they don’t lose their hope for a better day.” The Waqaf-Dhiblawe School, for example, was reopened this past November and students returned ready to learn. “I consider Amanda to be a true humanitarian and a dear friend. I’m heartened to have her join us in our mission to lift Somalia out of poverty and war,” says Abdi’s daughter, CEO of the Dr. Hawa Abdi Foundation, Deqo Mohamed. “Together, we are building a world-class school for children who have been affected by war and famine, providing them with a path of escape from the cycle of violence,” she adds. This message of perseverance is the one Lindhout prefers to share. While her work with the GEF — which she takes no salary for — resonates amongst many who hear her story, Lindhout often finds herself unwittingly placed on a pedestal. The narrative of “us helping them,” with Lindhout dubbed a champion, frequently propagates. It’s one she immediately dispels, however. She rejects that mythology and the dichotomy it creates. “They’re the ones that are really going to do it [bring change]. We’re just giving them the opportunities to do it,” she says, noting how GEF’s new slogan, “Opportunity for Change,” reflects that attitude. In Toronto, the night now fully owns the city and Lindhout’s point about being lucky is taking on dual meaning. Smartly dressed in-crowdians gather and gab, sipping on cocktails in the Thompson’s now not-so-secluded rooftop lounge. The music is loud — too loud; the lights are low — too low, but Lindhout perseveres. We’re sitting in the lap of luxury and it’s a reminder of how privileged and out of touch we can be. Surrounded by opulence and conspicuous merrymaking, it seems pertinent to ask: being so far from poverty and violence, and with other conflicts and disasters afflicting so many across the globe, why should Canadians care about Somalia? “What’s happening in Somalia is not so disconnected to us as we like to think it is,” Lindhout says. The truth is, what’s happening in Somalia — or Afghanistan or Iraq or wherever — does affect us. Power-hungry warlords, hardline fundamentalists and savvy terrorists manipulate and prey on the vulnerabilities of those exposed by poverty and violence, and that includes those in Somalia. These toxic environments fester and spread, endangering not just those caught in the eye of the storm, but also those hit by the fallout. “We are just one global community. We are not so separated by these imaginary lines, our borders, that we draw,” she adds. “I actually think Somalia is a very key country, and changing the dynamics of that country will improve the security situation in the entire world.” But it’s not just about protecting our own. It’s recognizing humanity as a whole; understanding that “us” and “them” are inventions, luxuries of the developed world, dehumanizing excuses for our good fortune. We should use that fortune wisely. We don’t have to start foundations of our own, but opportunities to give back surface daily. And, as Lindhout explains, small acts of generosity do not adversely affect our quality of life.